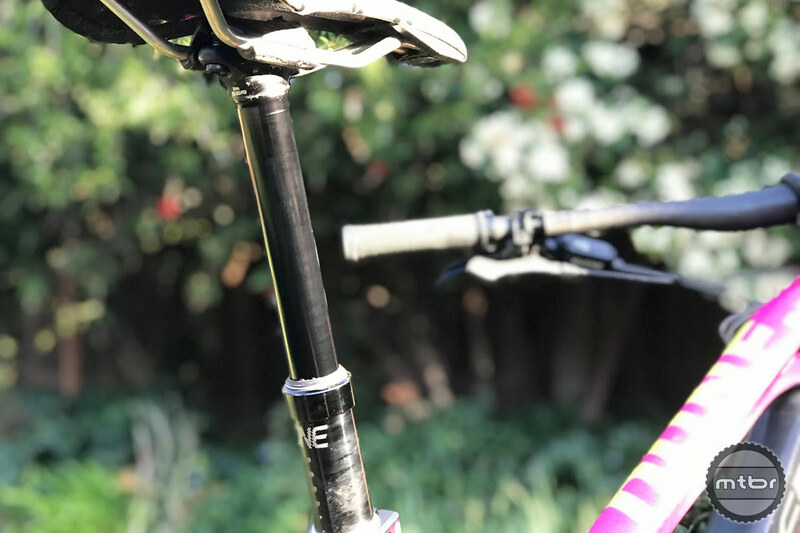 This new dropper post from OneUp Components sounds too good to be true. It has the shortest insert length, the shortest stack length, and it can be shimmed to limit the amount of travel. It touts infinite, damped travel, and the speed of the post can be controlled by the lever actuation force. But is it affordable and reliable? The OneUp dropper aims to maximize the dropper travel options of any bike. This dropper post is easy to install, operate, and maintain. More importantly, it maximizes the amount of drop a rider can use on any bike by employing clever design choices. Operation and usability are top-notch. Price is unbelievable at $199 post only, or $248 with lever. Reliability is the only remaining question. Our test period was brief. But for now it’s all thumbs up. The lever is an ergonomic carbon fiber composite that minimizes thumb movement. Drop 170mm or 150mm infinitely adjustable. Travel reducing shim reduces travel up to 50mm. Sold separately. Lever is an ergonomic carbon fiber composite that minimizes thumb movement. Just order a 31.6 x 170 with remote, due to drop in mid May, looking forward to trying another low budget option from the folks who brought us an inexpensive big cog option. completely sick of my dropper. get this one or the BikeYoke? Hiya EC, what dropper do you have currently? What’s good about the BikeYoke? I have the one that came with my 2016 Specialized enduro and….it’s not my favorite and I just crashed at Pacifica the other day and ripped off the lever so I’m in the market anyway. What is the warranty? I’ve got the Bikeyoke Revive and I am completely confident that it will last a long time because if the air/oil mixes it can be reset in about 5 seconds.. 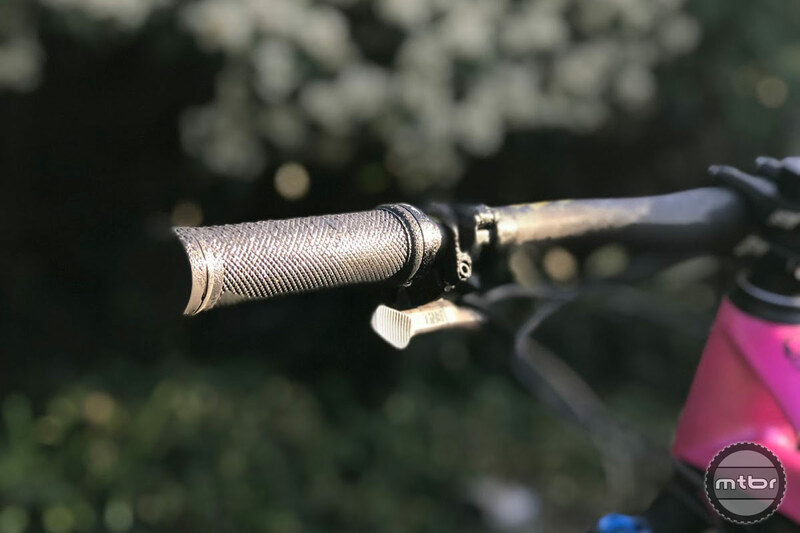 I don’t understand enough about the design and mechanical workings of dropper posts, what makes the BikeYoke better/more durable than this dropper for $200 more as far as I can tell? been running this dropper for a few months now. Love the 170mm drop and the price.